Willie Jess Robertson is an American TV personality, businessman, outdoorsman, hunter, and author. He is best known for his appearances on the reality TV series Duck Dynasty on A&E, and his ownership of the company Duck Commander. I’m imagining President Barack Obama wearing camouflage, an American flag bandana with shotgun in hand? 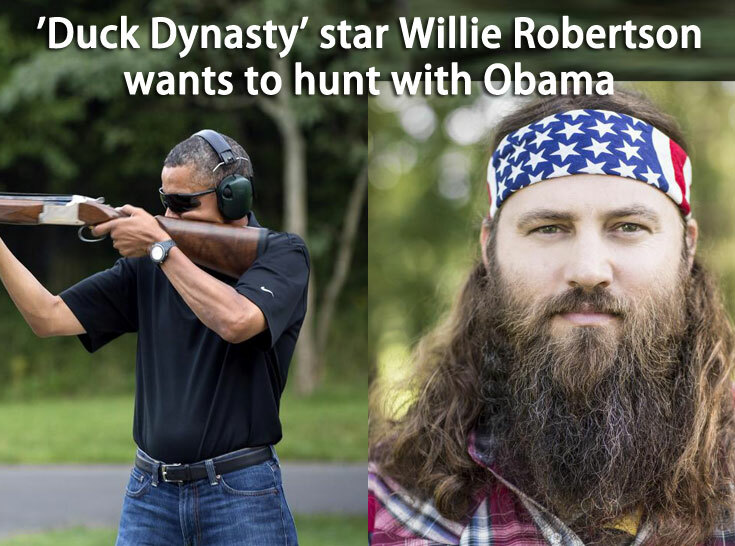 In Laura Ingraham’s radio show last Monday, Willie Robertson was asked which politician he’d like to be with in his duck hunting expedition, and he said the President Obama. If you are looking for hunting trip into a one-of-a-kind experience meant to impress Nicaragua Bird Hunting Adventures will take care of everything for you. NBH is a complete luxury traveling experience coordinator, catering to clients who want exciting, all-inclusive hunting adventures. It’s not just about the hunt; it’s about your total experience. That is why we like to work with clients who expect the best, and know the value of the best.